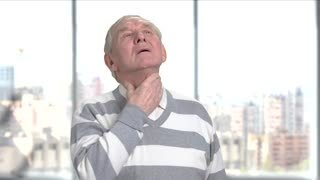 Senior man having ache in throat. 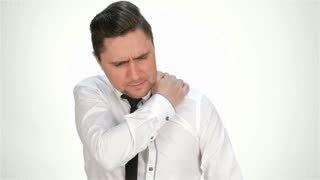 Coughing man feeling pain in neck, window city background. Symptoms of flu. 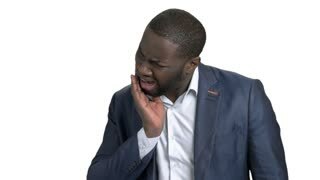 Portrait of afro american businessman feeling tooth pain. Black manager touching his cheek and suffering from pain. Tooth ache concept.